A community that refused to let its schools close has been praised after Ysgol Llanarmon Dyffryn Ceiriog had a positive inspection report. The Estyn report for Ysgol Llanarmon Dyffryn Ceiriog, part of the Ceiriog Valley Federation, was given an overall ‘Good’ by the inspectors, which means that they have ‘many strengths and no important areas requiring significant improvement’. the school’s safe environment and friendly ethos ensures all pupils’ health and wellbeing. 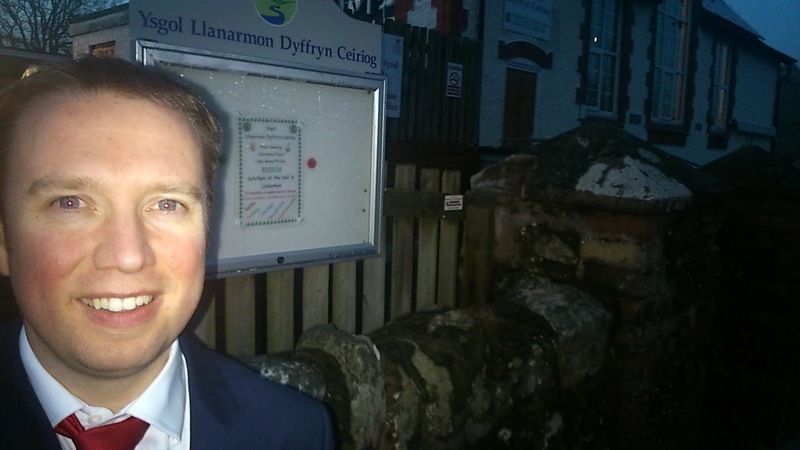 Mabon ap Gwynfor, Plaid Cymru Parliamentary Candidate for Clwyd South, said that the results were significant as the Valley had to fight to keep all three schools – Pontfadog, Cynddelw, and Llanarmon – open. “This is a very good report for Ysgol Llanarmon”, said Mabon ap Gwynfor: “The success stands on three basic pillars: a committed workforce providing excellent education; a hard working and enthusiastic board of Governors, and crucially the sheer bloody-mindedness and determination of the communities along the Ceiriog Valley. They, with support from my colleagues in Plaid Cymru including former AM Janet Ryder and Wrexham councillors, refused to accept plans to close two of those schools some years ago. “This report follows the fantastic turn-around that we have seen at Ysgol Pontfadog. When the schools reorganisation was being first discussed, the three schools and their communities came together as one and refused to be pitched against each other. They developed the federation and, through hard work and willpower, made it work. “Those who oppose small schools say that pupils don’t get the necessary breadth of education. This report disproves that myth. It says clearly that the ‘learning experiences meet the needs of the full range of pupils’. What’s more, the children learn the valuable lessons of cooperating and helping each other from a very early age. The school also plays a valuable role in the vibrancy of Llanarmon and Tregeiriog communities.